Whether you are a medical professional, nursing professional, dental professional, cancer organization, or pharmaceutical company, hearing Eva Grayzel speak will change the way you think about your patients, your clients and your life. Eva’s unique presentation style gives your conference or meeting a speaker that is different from a clinical program. 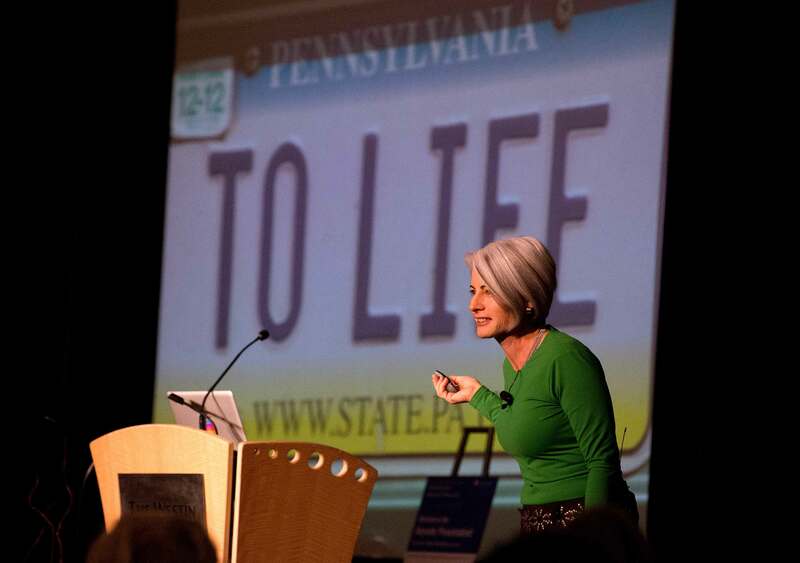 Eva’s keynote addresses, lectures, and workshops are adaptable to every healthcare field. Contact Eva to discuss what she can offer your attendees. One American dies every hour of every day from oral cancer. Eva Grayzel came close to being one in this statistic. The details of her delayed diagnosis, intensive treatment and residual side-effects bring to life the story of a real patient, driving home the importance of effective communication and sensitivity to family dynamics. Through her story, healthcare providers can fully appreciate their role in the cancer journey. Audiences don’t just hear her story, they experience it. How do you inspire trust, build a client base and increase commitment to products and services? Its all in the story! Facts and figures alone don’t engage attention or influence change. Tap the power of story to evoke a connection, build relationships and foster patient loyalty. Attendees are challenged to find the story that exemplifies their value and showcases what makes them stand out among the competition. Download the profile specific to your organization.